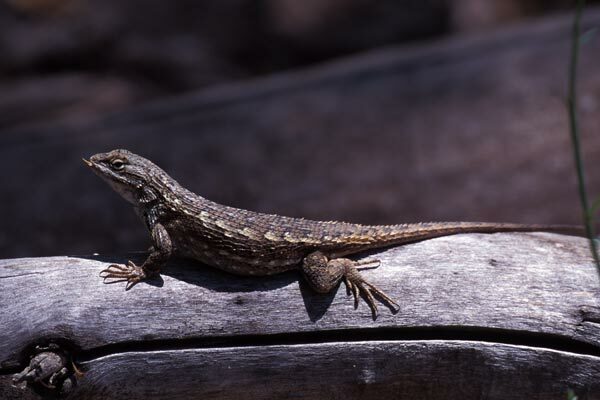 I had misclassified this lizard as a Clark's Spiny Lizard until I saw some more of these lizards in the same area four years later. 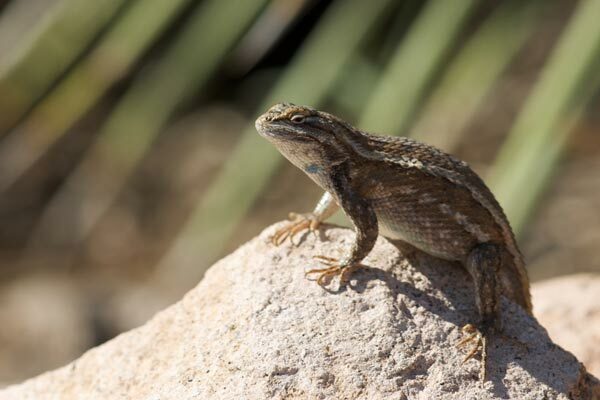 After checking various references, I realized that this was the type now classified as Southwestern Fence Lizard. 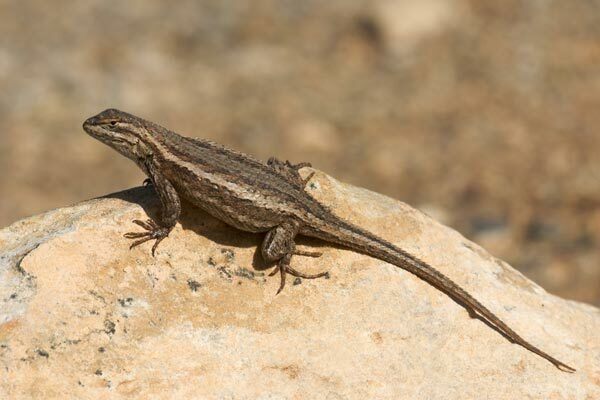 This is a recently-elevated species; formerly it would have been considered a subspecies of the Eastern Fence Lizard. 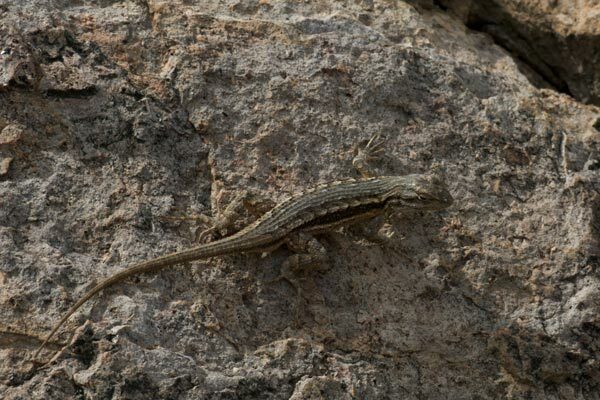 Here's one of the same lizards that I saw in the same area four years later, but which I recognized instantly as not being a Clark's Spiny Lizard. 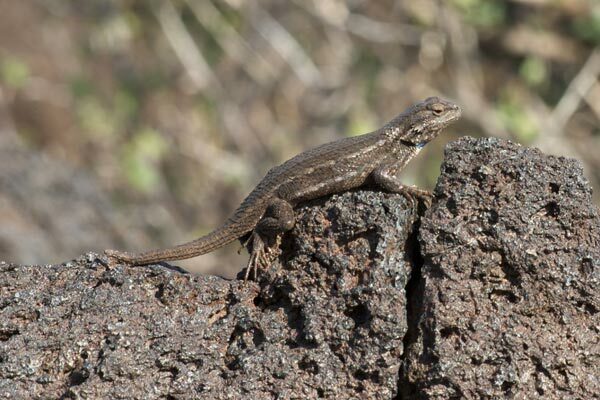 These lizards were very common around the Valley of Fires campground and on the lava flow as well. They are reported to have darker coloration in this lava flow area than in other habitats. 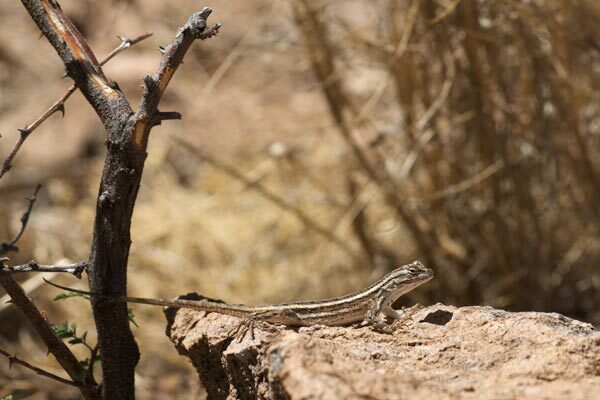 This species is sometimes listed along with Bleached Earless Lizards and Little White Whiptails as a third lizard that has adapted to the gypsum sands of White Sands National Monument by developing a significantly lighter pigmentation there than its closest relations do elsewhere. 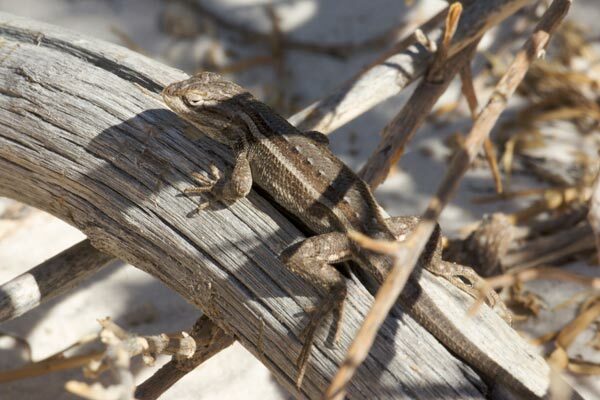 But the several individuals I saw at White Sands looked basically the same as ones I've seen elsewhere. Maybe I was looking in the wrong place. This one lived on the north side of our campsite, though he would make occasional daring raids on the territory of the larger one that lived on the south side. And here's the south side denizen, all puffed up in pride after having chased Mr. North Side away yet again. 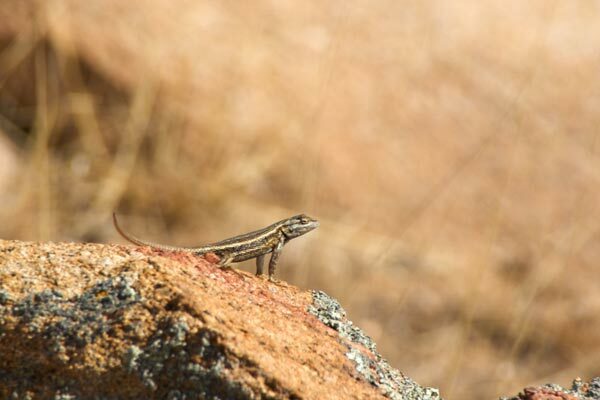 While out hiking with my wife and our dogs, I saw the form of this lizard on a rock in the distance. 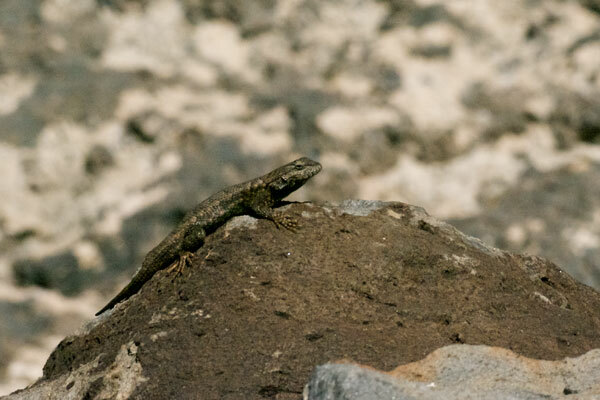 I snuck closer in the hope that it was a Crevice Spiny Lizard, but alas, it was just this more commonly-seen (at least by me) species. And to add insult to injury, it ran for cover before I could get a closer photo. 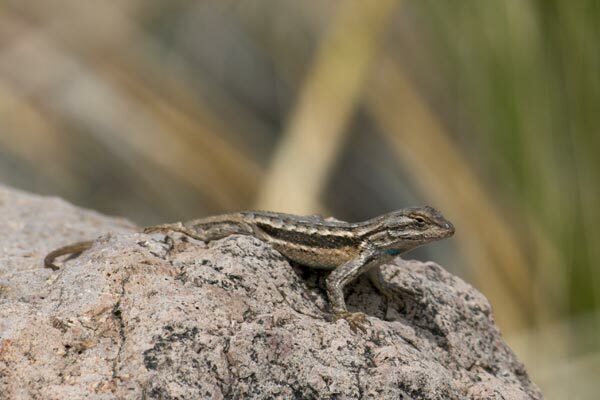 The Davis Mountains are home to many interesting herps, but on a cool spring morning all I saw were a couple of these common lizards. Another interesting spot, another common lizard. 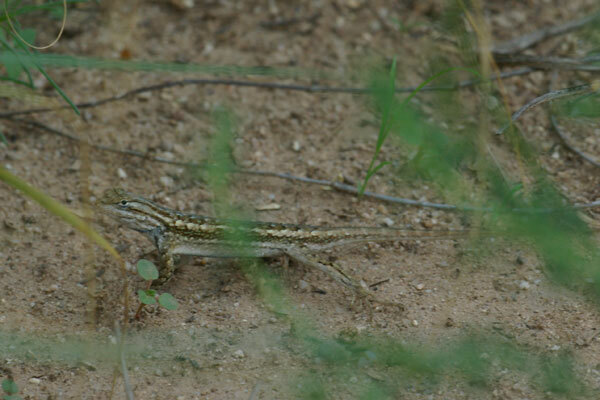 Unsurprisingly, one sees a lot more common lizards than rare ones, as a rule.